SURFA balanced combination of theoretical and practical lessons with local teachers with lifetime experience and full dedication to surf will make sure you’ll improve or learn your surfing skills ! Our goal is that everybody leaving the camp after one week at Coconut Surf is able to go surfing on his/her own, choose the right equipment for him/herself and know how to read the ocean. You will surf some of the best waves here in San Juan del Sur, because in this area of Nicaragua we have Offshore wind almost every day, which ensures that the waves rolling in are well formed and break cleanly by pushing the wave back and making it steeper and taller. 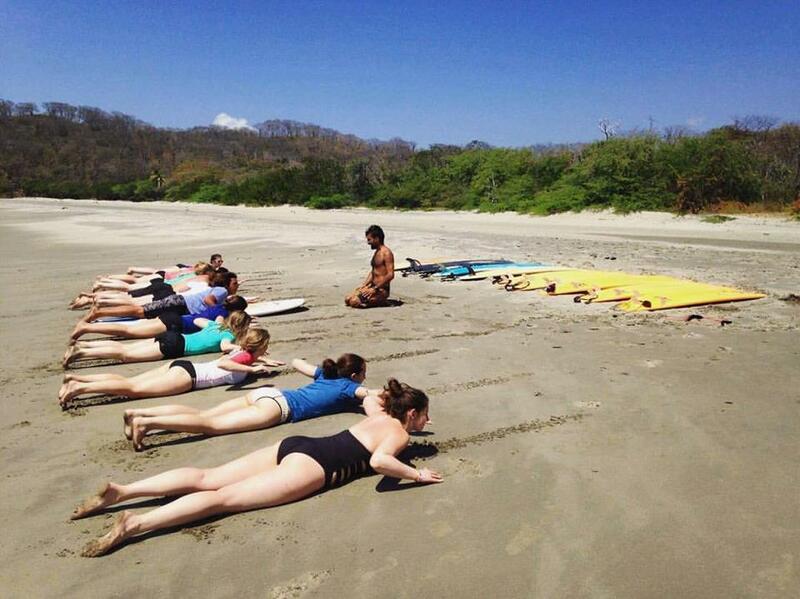 Practical lessons paired with theory classes by local instructors will help improve your surfing skills every single day! Our individual video recordings of your sessions will allow you and your instructor to analyze your mistakes, so that you know what you need to focus on to catch the perfect wave. The 7 days surf package is efficiently designed to get the most out of your week. Surfing can be very exhausting and demanding for your body. We crafted the week schedule in order to maximise your learning progress, body capacity and pleasure! In order to offer you the best chances to gain initial or advance already existing surfing skills, we offer two different packages: one for beginners and one for intermediate surfers.